← Want to Be More Creative? Get Immersed in the Nature! In New Delhi, India, “One woman dies every hour due to dowry related reasons on an average in the country.” In order to understand this horrifying statistic, you must first understand the concept of dowry, and the role it plays in Indian society. In Indian culture, it’s tradition for the bride’s family to provide her with riches such as “gold, jewelry, and a trousseau, before she leaves her parental home to live with her in-laws.” This practice is a means of providing the couple with a sense of economic security as they begin their new life together. In 1961, India passed the Dowry Prohibition Act, which “prohibits the request, payment or acceptance of dowry as consideration for the marriage.” As exhibited by the horrific statistics concerning dowry related deaths, this law is widely ignored. The National Crime Records Bureau (NCRB) reported that the number of dowry related deaths have been increasing. In 2007, 8903 deaths were reported. In 2008 and 2009, the number rose to 8,383. The problem of gender imbalance and dowry related deaths are prominent ones. 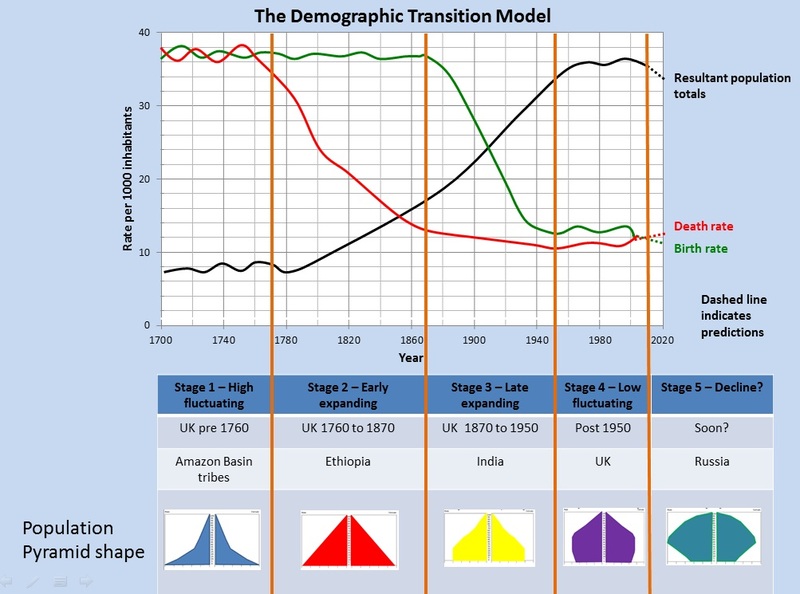 I hope that as India progresses through the demographic transition that the culture of the country will progress with it. If this happens than the rate of dowry deaths and the gender imbalance should decrease. This is because, often as countries progress through the transition, societal traditions change with it, specifically gender equality increases along with female literacy rates. These changes often attribute to the lowering birth rate as a country advances through the transition. I think the key to combating the issue of dowry related death will be in changing societal beliefs concerning dowry, and also by combatting gender inequality within Indian communities. Nia, this is a very thought provoking article. I was really drawn to the point that you created your title off of, that one woman in India dies every hour from dowry related reasons. It was a really strong fact to start off your article and accurately showed how large of a problem this truly is. I found your Age Structure Diagram very interesting and a good representation of your argument. I was shocked by the over 10 million population gap between men and women. It made me think about whether or not India will be able to sustain this trend. What will be the effects of this gender gap further along in time? Will it result in a decrease in population from lack of mothers? Dowry has made an extremely large and noticeable impact on Indian culture and population. I think that your article did a great job of presenting and explaining that. Nia, I love that you pointed out that India has the potential to change its gender imbalances as it continues through the demographic transition stages. Like Kristen, I wonder if the current gender gap will come back to haunt India in the future. A lack of women could potentially lead to female babies becoming more valuable than males, which would be an interesting and ironic turn. The ineffectiveness of the Indian government in banning dowries is worrisome; what will India need to do to stop dowries or at least stop women from being killed due to dowries? If the government can’t stop it, who will step up to make the change?